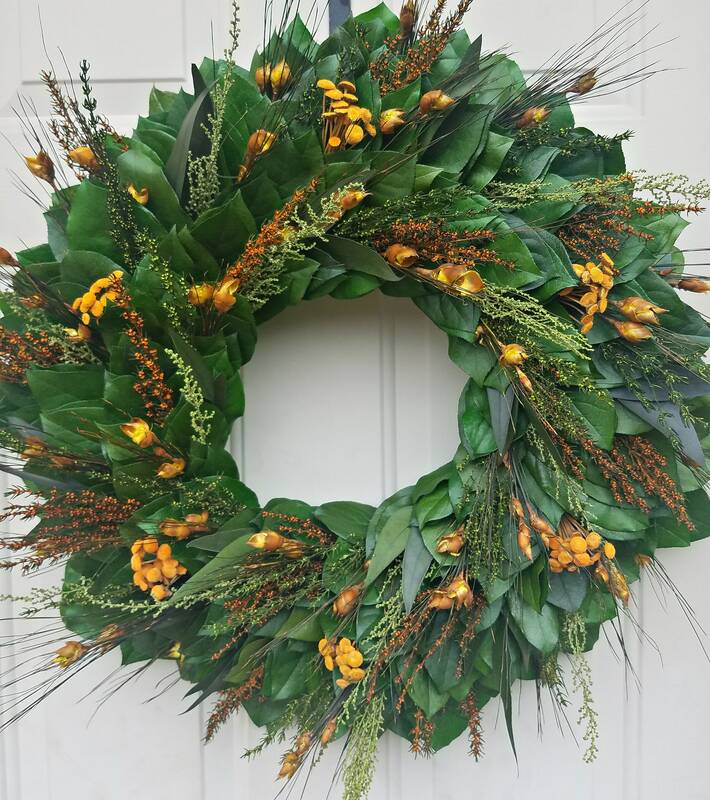 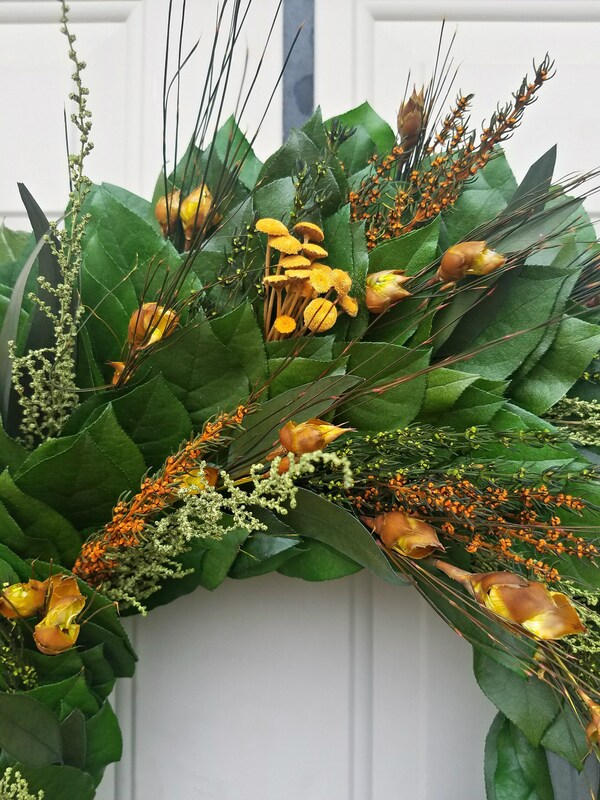 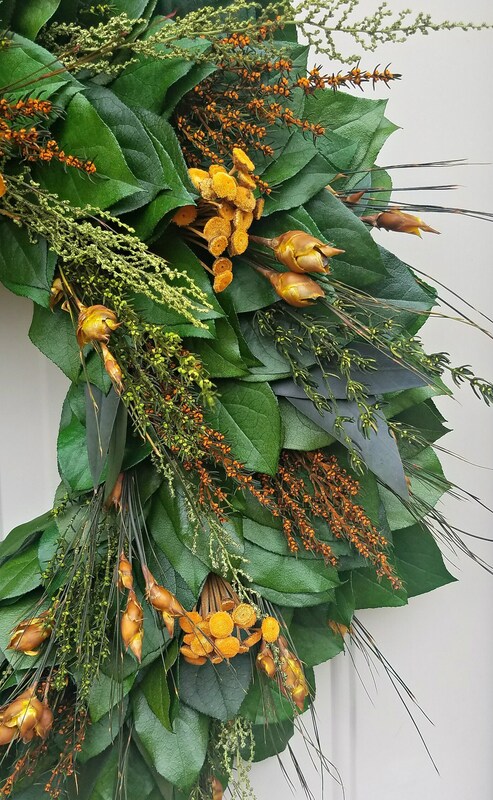 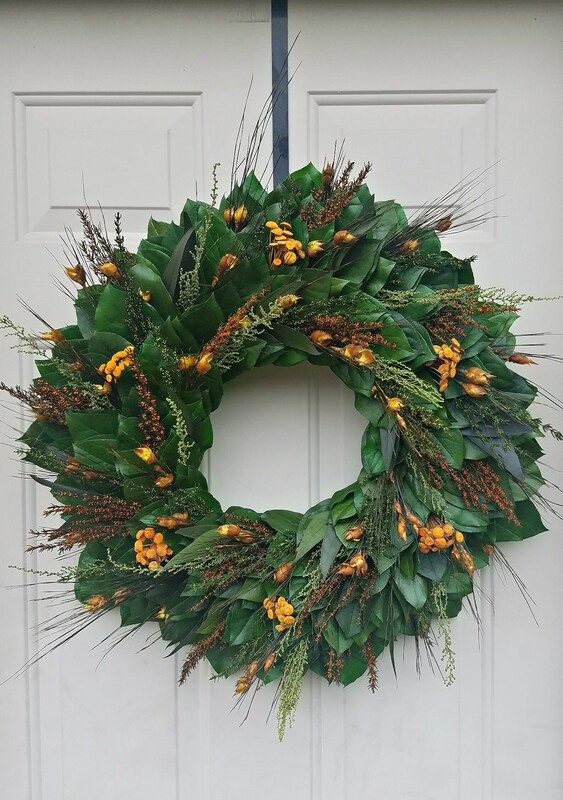 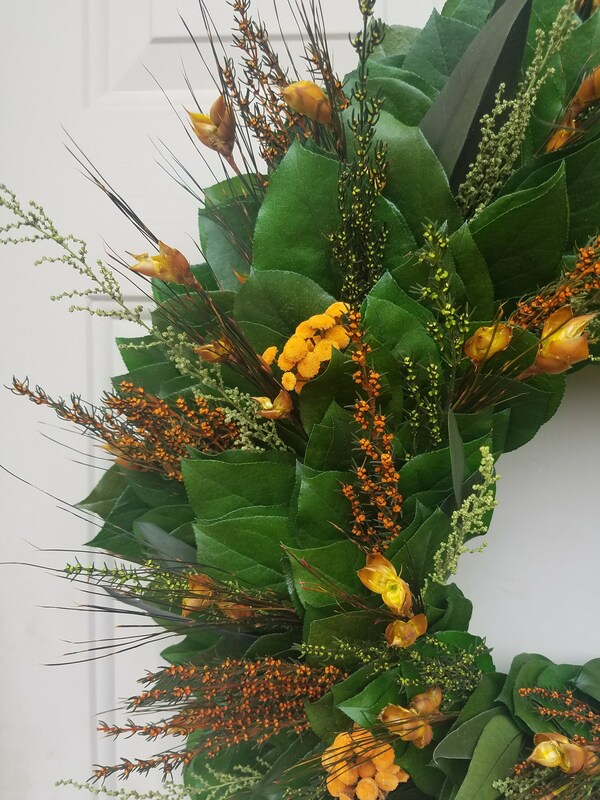 Large preserved wreath is handmade using preserved green and olive colored, olive colored preserved salal leaves, preserved green stoebe, Orange button flower, amber orange grabia flower, green grabia foliage, and preserved gold bell grass. 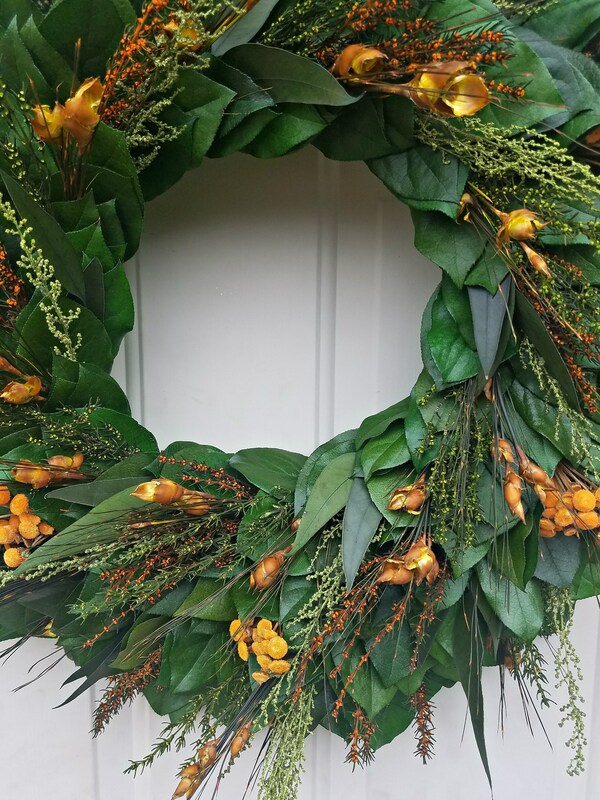 ********This wreath should only be hung on an exterior door with a storm door as natural dried and preserved materials cannot withstand the elements. 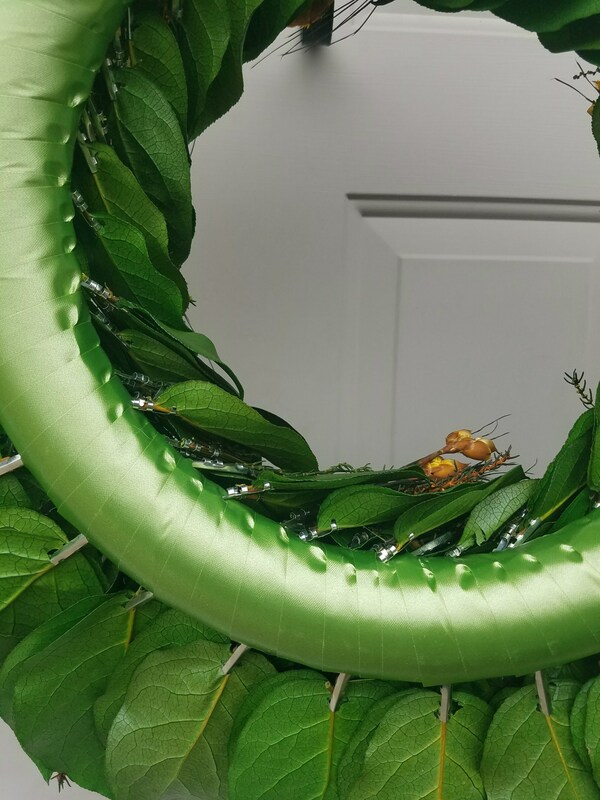 The materials have been preserved and will stay fresh looking for several seasons if kept out of direct sun and humidity.